Kyle says: This photo was taken in Monterey, California, on a sunny fall day. It was one of those days when things just line up, and the kelp forest clears as the sun lights up to showcase the kelp forests' amazing colors. Two ochre sea-stars fill the bottom corner of the frame as a school of juvenile rock fish swim above. 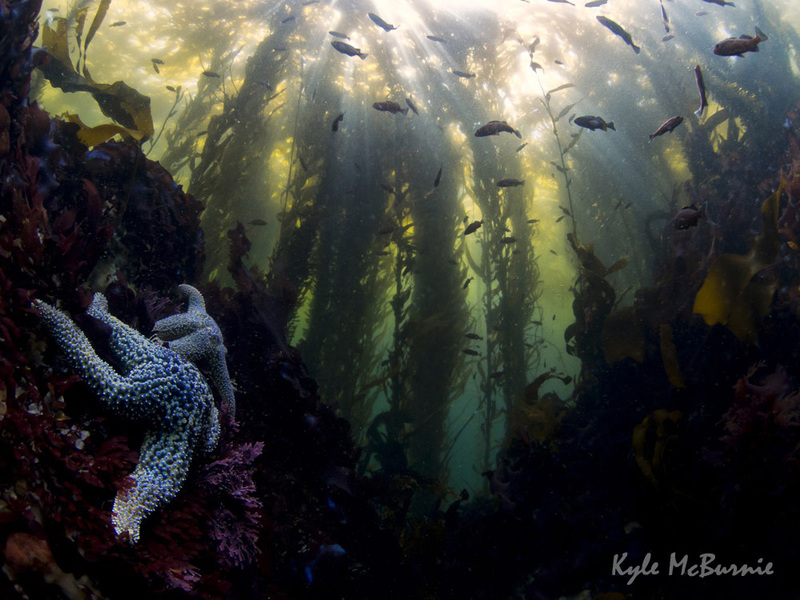 Kelp forests are an important refuge for schooling fish, providing structure and protection.